Hi, new to this forum! 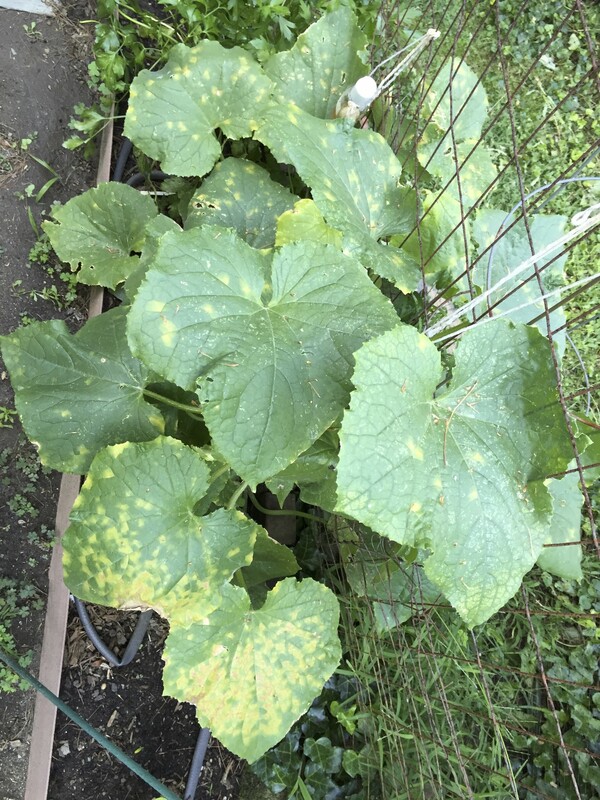 I noticed these yellow patches on my cucumber plant and after some research am afraid it might be the cucumber mosaic virus for which there is no cure...anyone able to identify it? Hm. I was thinking maybe mildew? I can't tell if this is downy mildew because Minenusually get powdery mildew. I clip off affected leaves and put them in trash, and spray with milk/yogurt/kefir and willow tea spray.